Its been a while, but we’re delighted to return to Emirates Riverside Cricket Ground. It’s an exciting year for the team at Emirates Riverside, as they prepare to host three Cricket World Cup matches this summer. 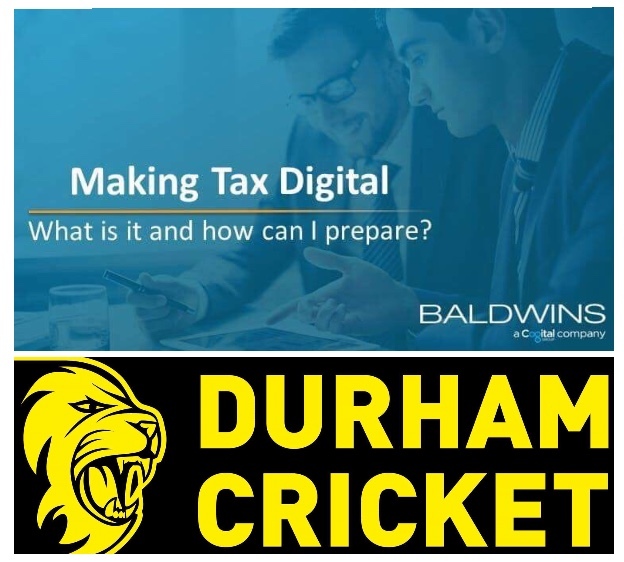 International cricket isn’t the only countdown we’ll be hearing about in March – the final countdown is also on to April 2019, when businesses are required to submit their tax information online. Baldwins Accountants will guide us through the new system and its key implications for you and your business, alongside highlighting the latest opportunities available with cloud accounting. So, we look forward to an evening of networking, member news, valuable insights, and enjoying supper overlooking the cricket ground, from the Castle View Suite.